Researchers: Andria Ellis, Charles DeMets and Neal Lord, University of Wisconsin, Madison; Pierre Briole and Hélène Lyon-Caen, CNRS, Paris, France; Enrique Molina and Jeffrey Rivera, Universidad Mariano Galvez, Guatemala; Omar Flores, Universidad San Carlos, Guatemala City, Guatemala, Cécile Lasserre, CNRS, Grenoble, France. The 7 November 2012 moment magnitude 7.4 Champerico (Guatemala) earthquake is among a growing number of subduction zone events observed by a local geodetic network. The GPS data show up to 2 meters of slip over a 30 by 30 square kilometer area on the fault at a depth of 10 to 30 kilometers. The observations show the fault continued to slip in the ruptured area at a rate of about 20 percent of the main earthquake. Combined with global seismic observations, the data refine the location of the earthquake, increasing our understanding of faults and plate motions as well as earthquake risk resiliency. Along the western edge of Central America, the Cocos Plate subducts beneath the North America and the Caribbean plates along the Middle America Trench. Over the past 100 years there have been ten large magnitude earthquakes off the western coasts of Guatemala and the Mexican state of Chiapas on this trench. The boundary between the North America and Caribbean plates can be traced across part of central Guatemala. Guatemala is thus a very actively deforming region with significant seismic risks. 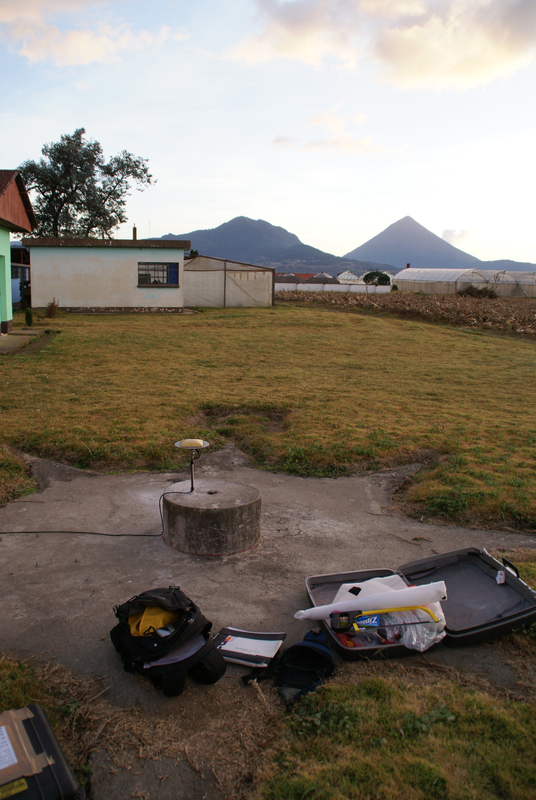 A GPS network of 13 sites in Guatemala, one site in Mexico and 5 sites in El Salvador observe plate motion and fault activity. There are few other resources in the region for observing plate motions and determining seismic risks. These 19 sites, plus 4 stations added in Guatemala after the Champerico earthquake, were used to observe changes in crustal characteristics caused by the earthquake during and after the event. The geodetic data show significant slip along the subducting plate thrust fault. Observations after the earthquake show continued slip at a lower rate and amount, which is consistent with post-seismic estimates. 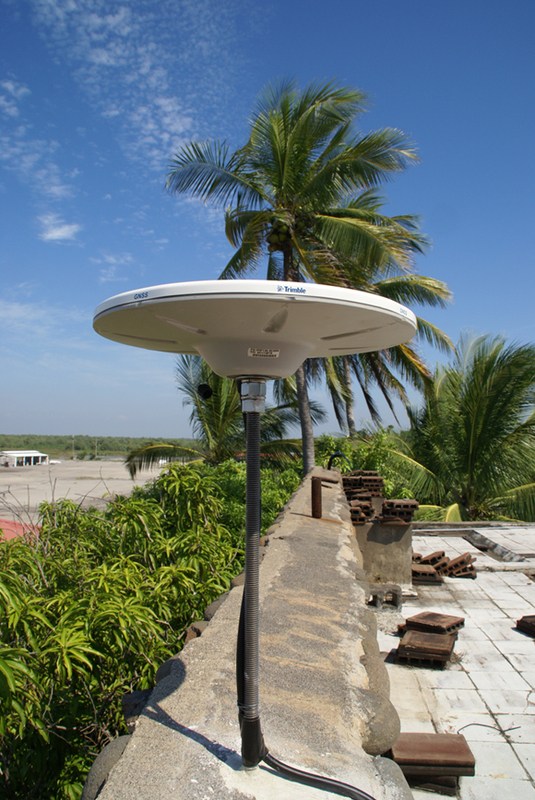 The geodetic data fit the location and mechanism of the earthquake determined by combining lots of seismic stations around the globe by the global centroid moment tensor project (gCMT). 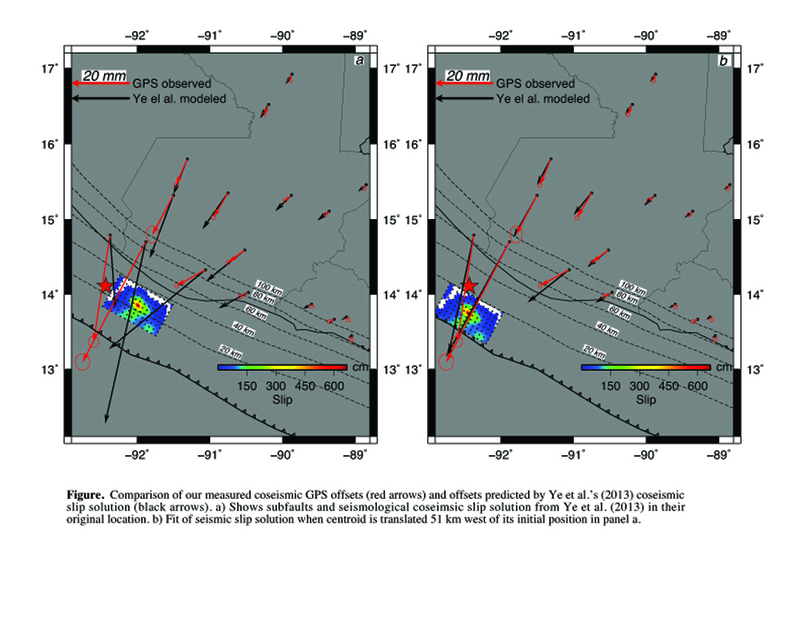 Interestingly, the GPS data also match with a solution based on regional and some global seismic data if the earthquake hypocenter based on the seismic data is moved to the west. Thus the geodetic data provide unprecedented observations of a local earthquake, help to determine the plate motions, and assist researches in forecasting the probabilities of future earthquakes along the Middle America Trench. Geodetic slip solutions for the Mw = 7.4 Champerico (Guatemala) earthquake of 2012 November 7 and its postseismic deformation, Andria P. Ellis, Charles DeMets, Pierre Briole, Enrique Molina, Omar Flores, Jeffrey Rivera, Cécile Lasserre, Hélène Lyon-Caen and Neal Lord, Geophys. J. Int. (2015) 201, 856-868. doi:10.1093/gji/ggu484.